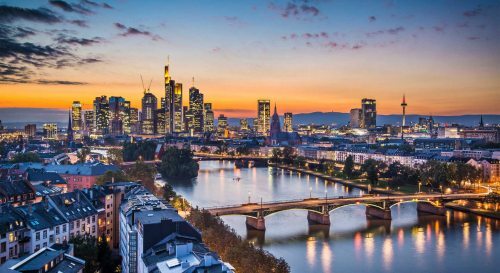 There are some one way, non-stop flights available from Vancouver to Frankfurt, Germany for $250 CAD including taxes in the peak Europe travel season of July. But for various reasons (moving, long term travel, etc) there might be those out there who can make use of 'one way only' deals, so for those travelers, here you go! 2. Select the 'one way only' option and change the currency from $US to $CAD. There aren't currently any unusually cheap options for getting home from Europe (one way) until September travel (such as Dublin to Vancouver for $280 on WestJet). vancouver, yvr, flight deals, europe, frankfurt, germany, fra, condor, western europe and centra europe.